Gustavo died recently and I didn't include this film with his profile. This is the story of Spain conquering the Canary islands. Interesting history we seldom see this side of the Atlantic. 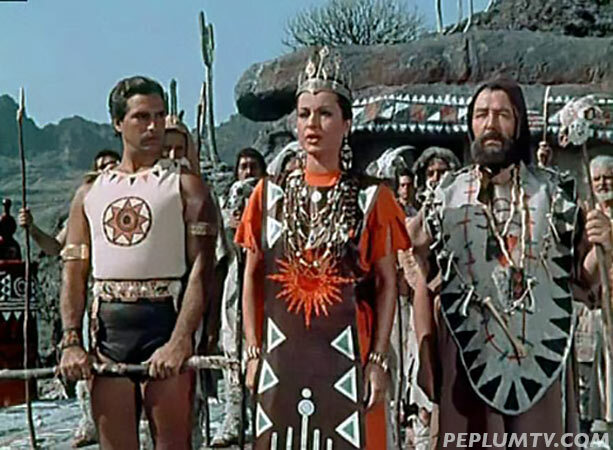 Gustavo made this film after ALEXANDER THE GREAT (1953). It also stars Marcello Mastroianni in a rare PEPLUM role. The big battle at the end was directed by PEPLUM maestro Pietro Francisci. Colourful film even if it's not historically accurate. The bulk of Silvana's roles took place in 1950s. She did some films in the 1960s but sporadically and then retired from the screen.